If you're integrated with our services your product mockups will be exported to your store automatically. But if you're not you can still download them. If you're manually downloading your product mockups it'll be in one of two scenarios - either you've already created your product, or you're in the process of creating it. In both cases, the method to download your mockup is the same. If you're creating your product, you'll come to this page naturally, but if the product is already created you'll need to go back and edit it (head to your Products page, select a design and click the product you want to edit). The button below your design, second from the right, is the one you want. Hover over and it'll say Download your design. Click this button and a PNG mockup for the current colour will download to your computer. You can select any colour variant and the mockup will change to match, and clicking the download button again will download a PNG mockup for this colour variant. Use this feature to download as many colour variant mockups as you need. The icon on the far left will rotate the garment on screen. 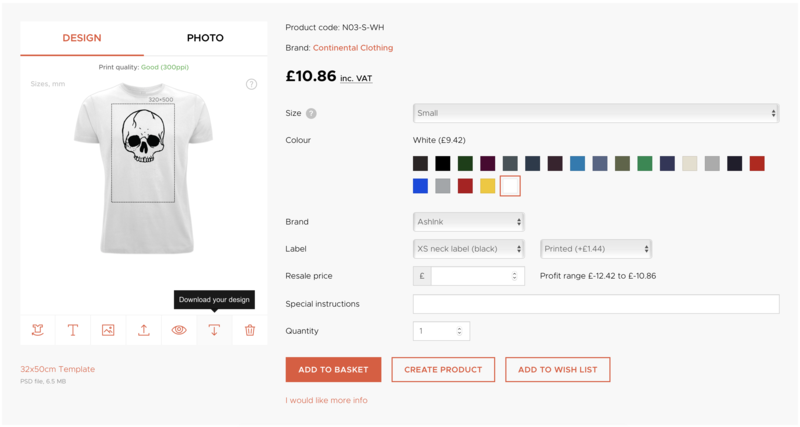 If you're currently creating your product, you'll need to upload a design file to the back before being able to download a mock for it (or you'll just end up with a blank garment), but if the product has been created previously your design will already be there. Once rotated, click the Download your design button. This will download a PNG mockup for the back of the product. And as before, you can change the colour variant of the product and repeat the process as many times as necessary. The solution is to upload an alternate design to a new product and use this to save your mockup. If you're integrating with us, you won't actually need to link this product to your store (since you can assign different print files to different variants during the integration process), but if you're placing your orders manually you'd need to create a new product with an alternate print file anyway. If you've saved this product to your Wish List then select it and upload your alternate print file, otherwise browse our product catalogue to find your product. We've inverted the print file colour, so now the design is clearly visible on the black variant of this product. Clicking the Download your design button will now download a PNG mockup of this alternate print file. Please note: whilst the file that's downloaded is a PNG, the background behind the products won't be transparent. 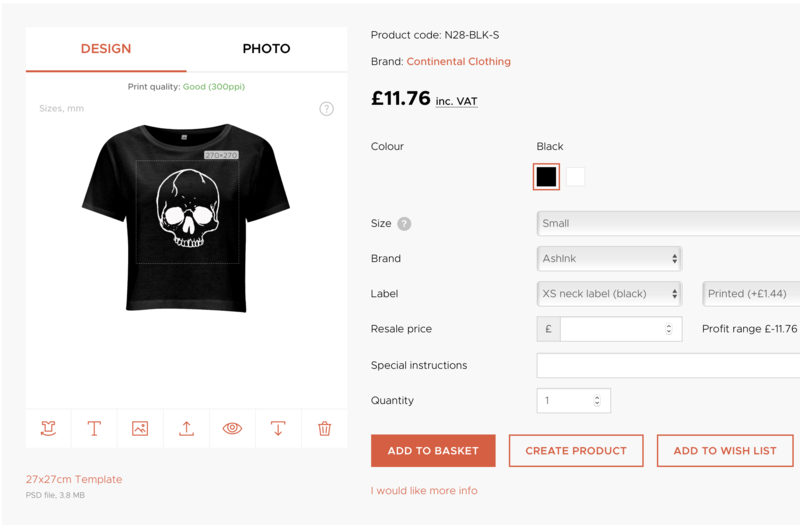 Our product creator generates mockups using image masks and transparent layers, so saving these with the transparency preserved will cause problems if your mockups are not displayed on a webpage with a white background.